Passionate about the web and Umbraco with skills developed working together in an agency before going separate paths, Skrift is an endeavor defined for them in the same honest way they present: as a community, forged between bonds of strong friendship and a decent amount of beer. 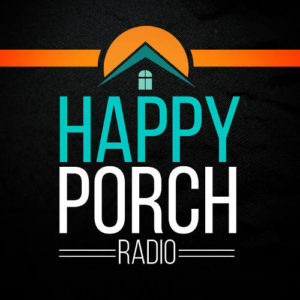 Welcome back, once more, to Happy Porch Radio. This is episode 9 of Season 2 which is all about Umbraco. In the last few episodes we have had some really insightful conversations with agencies and in this episode we shift gears slightly to talk about the Umbraco community. In this episode I speak to the inspiring team behind skrift.io: the monthly magazine for sharing knowledge in the Umbraco community. We talk about how and why they put so much passion into Skrift and the role of the Umbraco community in their professional lives. One of the most important parts of this conversation (I feel) is how valuable it is – as an agency leader – to allow and encourage your team to take part in the wider community. Local meet ups, conferences and relevant festivals are an important part of the continuous improvement of you, your team and therefore your agency. The story of Skrift being ‘born out of desperation’. 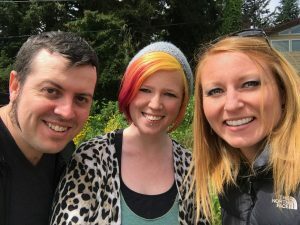 How travel, reciprocity, and sometimes being just a little selfish all help motivate the three of them to continue publishing a community magazine. How people have reacted to Skrift thus far. The importance of being part of the Umbraco community as an agency (no matter the agency size). How stepping into the Umbraco community led to more partnerships and projects being taken on by their agency. How networking can help you grow as a developer. Why it’s important for your designers to understand Umbraco. What the future looks like for Skrift.